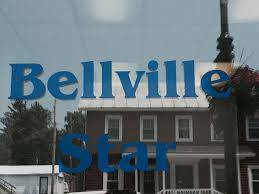 Recently, Aim Media Midwest, which owns the Bellville Star and several other newspapers in Ohio, made a decision to close the Star’s office in downtown Bellville. The closure should not affect the way the Star operates, nor will readers see a lot of changes. In recent years, the revenue stream and local advertising for daily and weekly newspapers across the nation has dwindled, yet the costs for newspaper and distribution continue to rise. This has forced many newspaper companies to make changes in order to maintain a presence in the communities in which they deliver the news. We will continue to deliver the Bellville Star on a weekly basis to the readers of Bellville and Butler. This will not change. If you need to contact someone within one of our offices, the phone number to call will remain the same at 419-886-2291. If you choose to send something via email, the email addresses to send it to are bellvillestar@aimmediamidwest.com, rkent@aimmediamidwest.com, aconchel@aimmediamidwest.com or vtaylor@aimmediamidwest.com. Any listed above can assist you or direct you to the person that can assist you. For circulation, email jmcquistion@aimmediamidwest.com, call the number above or call 419-946-3010 extension 1801.